Amanda Bullough, assistant professor of management at the Lerner College and co-leader of Lerner’s Women’s Leadership Forum, spent five weeks this past summer working with an esteemed group of young women from five countries in Sub-Saharan Africa – Kenya, Zambia, Sierra Leone, Liberia, and Cote d’Ivoire – who participated in the Study of the U.S. Institute (SUSI) for Student Leaders on Women’s Leadership. 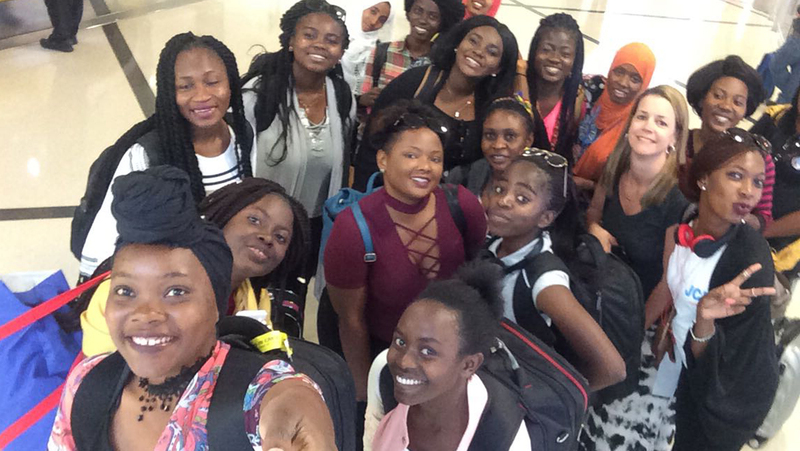 The University of Delaware’s Institute for Global Studies (IGS) secured the grant, welcomed the women, and managed all logistics of their visit, including classroom time and instructors, and site visits around Delaware to non-profit organizations and government agencies. Participants also had the opportunity to meet several of Delaware’s U.S. and state senators, and visit Washington, D.C., New York City, Philadelphia and Atlanta. The program was funded by cooperative agreement from the Bureau of Educational and Cultural Affairs of the U.S. Department of State. The Study of the U.S. Institutes (SUSIs) awards support five-week academic programs for foreign undergraduate leaders. Hosted by U.S. academic institutions throughout the United States, like UD, all Institutes include an intensive academic component, an educational tour of other regions of the country, local community service activities, leadership skill building and a unique opportunity for participants to get to know their American peers. This specific SUSI program on women’s leadership exposed the visitors to the history and participation of women in public life in the United States. The Institutes focus on two major areas: developing participants’ leadership skills in areas such as critical thinking, communication, decision-making and managerial abilities; and placing these abilities in the context of the history and participation of women in U.S. politics, economics, culture and society. “Not only was it a privilege to be a part of this program and spend time with these wonderful ladies, it was also a lot of fun and I got to work with some of the best program staff ever,” Bullough said.